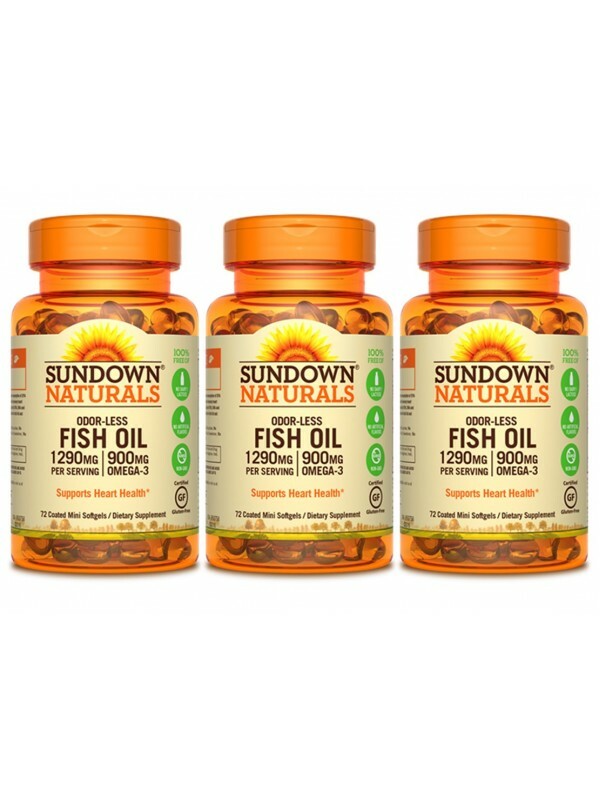 Sundown® Naturals Odor-less Fish Oil 1290 mg supplies omegas that are important for your heart health. * Omega-3s are “good fats” that support cardiovascular health, and cellular/joint/skin health. 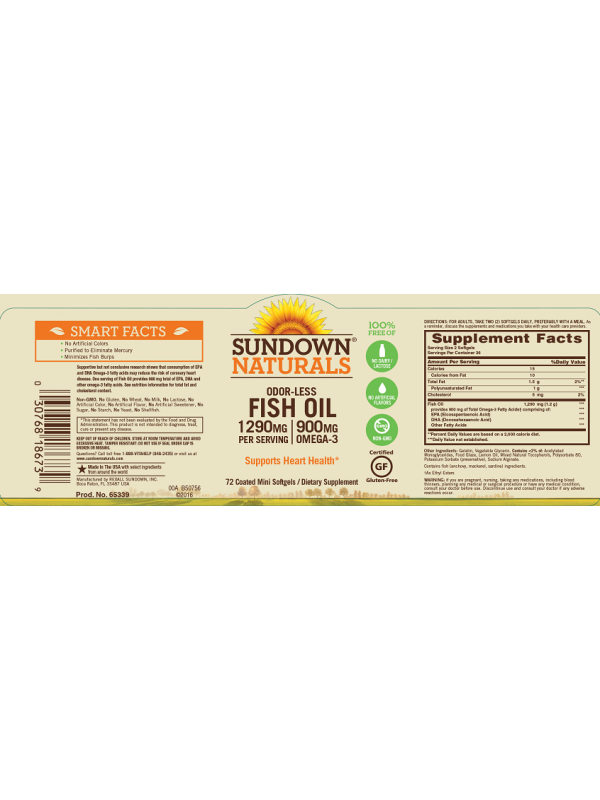 * Each serving provides 900 mg of omega-3s, and is great for healthy circulation. * Plus, you don’t have to worry about tasting anything “fishy” with our mini odor-less softgels, due to their special coating. Our Fish Oil is purified to eliminate mercury. 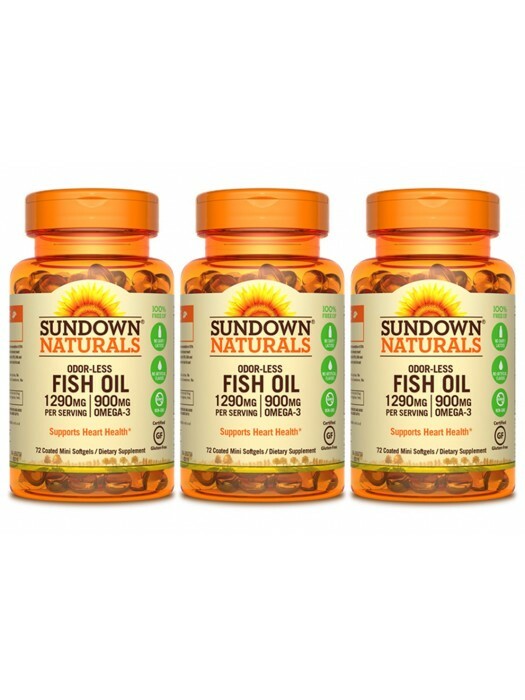 Our fish oil is sourced in Peru, in the most ecologically responsible way, to guarantee its purity and potency. For Adults, 2 Softgels Daily, Preferably with a Meal.